nice work, you're a real explorer now. thanks for visiting us. it means a lot to me. this spring we launch a new cider company together. i’ve sourced some of the countries best ingredients to create my new line of heritage and modern dry ciders to share with you. my commitment to you is that my cider will always be natural, craft, and 100% awesome. i'm looking forward to meeting you in person and i'm grateful for your support. spread the word to other explorers. we are on our way to doing something special. stay tuned! whatever you think you know about cider is about to change, we promise. when we started this journey, it became clear how mis-understood cider is. our ciders are made from real apples and natural ingredients, always. our fermentation process ensures nearly all of the apples residual sugar is gone by the time it hits your glass which will make your body happy. our amazing co-fermented ciders are made using modern style apples and all-natural ingredients like hops, cranberries, pineapples, and spices. they’re truly special. oh, and if you’re feeling fancy you will love our line of heritage ciders which are aged in tequila, gin and kentucky bourbon barrels. yum! 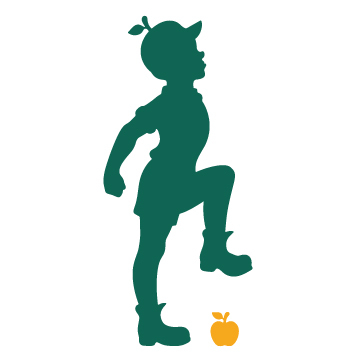 lost boy cider (a virginia ciderworks company) is the brainchild of founder tristan wright. it all started with a brief love affair with cider while on a trip to ireland in 2010. "i'll never forget the stag party lads. i turned towards the commotion and they had propped my wife up on a bar table and began chanting in chorus for her to teach them whitney houston and michael jackson songs. we sang and drank cider all night. what was fun at the time became a life changing moment. i wouldn’t realize its significance for six more years." tristan returned to the states and quickly reverted back to his whiskey and beer interests. fast forward to 2015, tristan was diagnosed with a serious soy and gluten allergy. "i was sitting on the hospital bed, the dr. staring at me intently. i had one question. was I really really sick?" "in a flash everything i thought i knew about food and drink needed to change." the quest began. for anyone trying to understand what they put into their body the path to a gluten and soy free existence is not straightforward. breaking old habits is tough and many ingredients in commercial foods are less than desirable. perhaps the worst part of this was saying goodbye to beer and whiskey. so the journey to change began. it started with food and alcohol. tristan gave up alcohol altogether for nearly 7 months. "purely out of fear. i literally thought i might be dying. what i didn't realize was that i had been slowly poisoning myself." after months of focusing on his diet tristan got the green light from physicians to jump back into enjoying the occasional libation. it had been difficult because nearly every social event involved drink. tristan had a take a step away from the social scene which was equally hard. upon getting the all clear the go-to choices of mass-produced wine and hard liquor simply weren't good options. that's when tristan recalled the trip to ireland and the lightbulb began to glow brightly. the quest to become a cider maker began in earnest. tristan wanted to do something simple; create an american-made, modern style, handcrafted cider here at home. anyone who knows anything about winemaking knows that this is not as easy as it sounds. especially coming from a completely different career. two years of research and now armed with certificates from cornell viticulture center and oregon state university's cider production school, here we are. with schoolbooks studied, recipes developed, a supportive wife and family, and an unstoppable passion we are beyond excited to bring you some of the finest american craft cider you have ever tasted. enjoy! cider is alluring - a fascinating world with endless combinations of flavor profiles and blends. cider is a chameleon of alcoholic options. it is everything fun, witty, boisterous, sophisticated, pleasant, lively, entertaining, and merry. and it can be enjoyed at any occasion. go back through history, cider has always been with us. did you know that after the romans invaded what is now england ceasar was so captivated by cider it became his favorite drink? or that the pilgrims brought a cider press with them on the mayflower and used its press screw to repair a broken mast after a bad storm? or that children were served hard cider for breakfast and dinner in the 18th century? but perhaps most importantly, cider brings us together as it always has. it is part of our history and who we are. we want to continue that tradition and look forward to sharing it with you. the dc region is our home. not to mention virginia is the country's 9th largest apple growing state. and how do you argue with washington and jefferson who planted large swaths of fruit trees here for their, uh hmm, enjoyment. virginia’s apple history runs deeper than any other state in the country. we’re honored to continue long this tradition. if you would like to invest or partner with us, fill out the form below and we will get back to you. *we promise we won't send you any spam or sell your information to a beer company!